Bill Edgar: Can Roma shake off perennial bridesmaids tag? 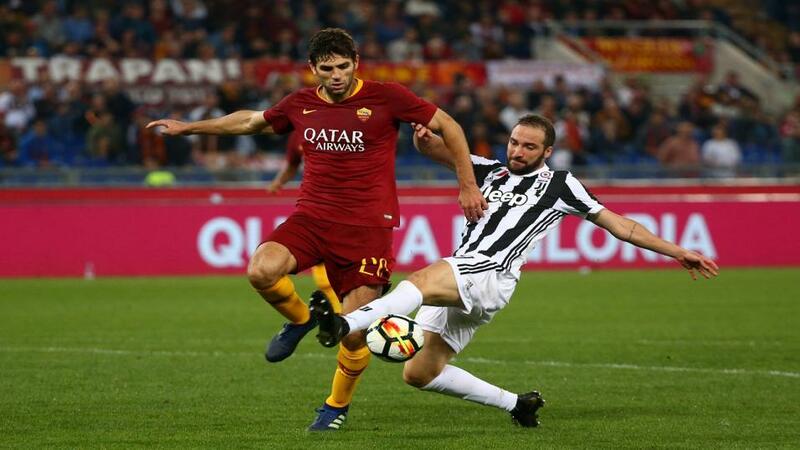 Can Federico Fazio's Roma overcome Juventus this season? "Middlesbrough can become the first team to rise to the Premier League five times, and they have made a fine start to the campaign. The club have secured promotion to the promised land under Lennie Lawrence (1992), Bryan Robson (1995 and 1998) and Aitor Karanka (2016), and now Tony Pulis has taken Middlesbrough into an early lead in the Championship"
Only Juventus have recorded more top-two finishes in Serie A than Roma since the latter became champions under Fabio Capello in 2001 - yet that remains the capital club's most recent title triumph. Roma have been runners-up a remarkable nine times in that period without claiming the main prize. Reinforcing their role as bridesmaids rather than brides, they have been twice winners of the Coppa Italia since 2001 but five times runners-up. The club eliminated by Liverpool in last season's Champions League begin their latest Serie A campaign away to Torino on Sunday, aiming for that long-awaited title. They are rated a [13.0] chance on the Exchange. Middlesbrough can become the first team to rise to the Premier League five times, and they have made a fine start to the campaign. The club have secured promotion to the promised land under Lennie Lawrence (1992), Bryan Robson (1995 and 1998) and Aitor Karanka (2016), and now Tony Pulis has taken Middlesbrough into an early lead in the Championship. West Bromwich Albion, eighth in the table, are the other club who can record a fifth promotion to the Premier League. Middlesbrough, away to Bristol City on Saturday, can continue the North East's recent tradition for promotions to the top flight: Sunderland have achieved the feat four times and Newcastle United three in the Premier League era. Boro are [8.2] to win the title and [3.2] for promotion. Leicester City's Premier League title triumph in 2015-16, when they lost just three games, seems ever more remarkable as time goes on. In each of their other seven other top-flight campaigns since 1999 they have recorded at least five times as many defeats, and they have already lost once this term, beaten by Manchester United in their opening fixture. The Foxes are already as big as [13.0] to finish in the top six.